Right on schedule, the latest Humble Mobile Bundle, this time themed to mobile games developer Noodlecake Studios, has gained additional titles. 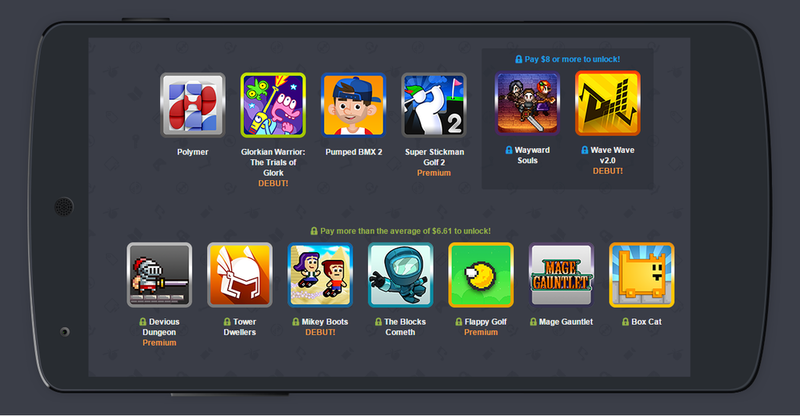 The Blocks Cometh, Flappy Golf, Mage Gauntlet, and Box Cat have joined the collection, which already included an impressive $26 worth of games. Humble Bundle, you may recall, is an organization that funds charitable causes by selling pay-what-you-will video game bundles. Some titles – in this case Polymer, Gorkian Warrior: The Trials of Glork, Pumped BMX 2, and Super Stickman Golf – can be had for a donation of any amount. Others require paying more than the average to unlock, while “premium” games – Wayward Souls and Wave Wave v2.0 – have an attached minimum ($8). The Humble Noodlecake Bundle expires on January 5.